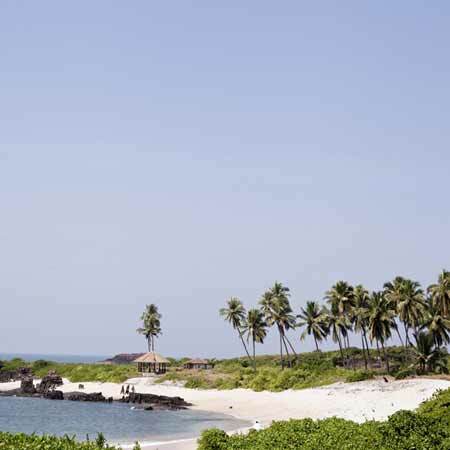 Venue: St. Mary’s Island Udupi, Karnataka. OnwardsSpring Zouk is a melting pot of music and arts, an international music & arts festival inspired by the idea of Spring. Spring is quite a significant time of year, with life bursting forth with great enthusiasm and gusto. Spring Zouk 2012 too is much the same, with the festival being a celebration of arts, music, cuisine and culture all at once. Set amidst the breathtaking scenery of St. Marys Island, the event is spread across 3 days and will be witness to some of the finest musicians and DJ that contemporary music has to offer. Of course, there is no point in promoting world music without a sampling of the local fare, and so the local tribal and folk musicians will also be heavily promoted as a part of Spring Zouk 2012. They will form an indigenous attraction and will also help illustrate another focal point of this festival, namely the need to educate people about alternative lifestyles. Spring Zouk will help people become aware of the need to create a greener planet for ourselves and for generations to come. Dive right into the fun, frolic and tranquility of Spring Zouk 2012 by booking your tickets on KyaZoonga.com! Venue: Dee Marks Hotel Resorts Near Hotel Radisson, NH-8 Delhi-Jaipur Highway, Adjoining Shiv Murti,Delhi. This New Year, celebrate with friends at a party with a bit of a difference. Add a touch of style and grace to your celebrations with this Party that has a Fashion Show running for the entertainment of guests with more discerning tastes. Dee Marks Hotel & Resorts is the venue for this scintillating party that will promise to leave you talking about it long after the music has died down and the guests have gone back home. This is the one party you wouldn’t want to miss come New Year’s Eve, and it is the perfect way to ring in 2012. Book your tickets for the amazing celebrations that are about to ensue, for tickets are available on KyaZoonga.com right now! Venue Address: Turf Club, Mahalaxmi, Mumbai.Dates: 14 January 2012Time: 19:00 to 22:00A charity fundraiser by Rotary Club of Mumbai Nariman PointHe is often referred to as India’s best playback singer and as the Golden Voice of Indipop, but he has proven time and again that he is a complete musician and an institution by himself. An extraordinary superstar, he is an icon for millions of music lovers across the globe. 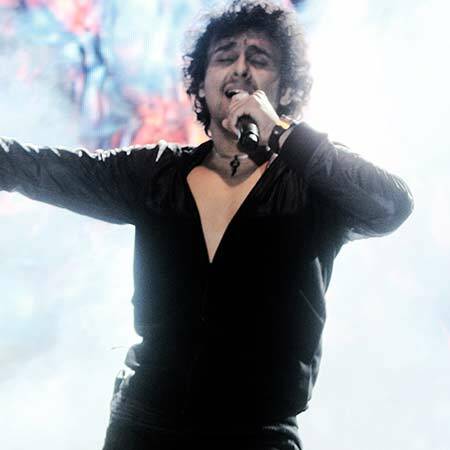 Over the years, he has become a major force in the Indian music industry. What’s more, this extremely talented and versatile singer, musician and performer will be lending his talents to a very worthy cause. The Rotary Club of Mumbai, Nariman Point, has been committed to making a difference to society, and the focal point has been the building of a Rotary Community Center. It will be a hub for club community services Initiatives and will enable multilevel services under one roof. This Sonu Nigam concert is not just an evening of entertainment, but also a Charity Fund Raiser where your presence will make a contribution to a better tomorrow. Help create memories that last a lifetime by booking your donors passes for this concert to remember, which will be available exclusively with KyaZoonga.com. Future Competency Seminars & Events brings to you for THE FIRST TIME IN INDIA, your opportunity to be a part of this amazing event. You are invited to be a part of ‘Untold Secrets of Industry Rockstars Tour’ bringing the Masters of the Industry Rockstar System – Jeff Slayter & Kane Minkus to India. Jeff & Kane are globally renowned financial gurus and self made millionaires, who have changed the lives of over 100,000 people, sought after to consult to Fortune 500 companies and run a multi-million dollar coaching practice before turning 30. During this one day event, Jeff & Kane will decode how they and others became industry rockstars. They will present the specific steps you can take to emulate their success and map it into your industry niche. They will strategise how you can take your personal brand and build it to achieve amazing success in your career or business. Most of all they will help you Monetize your Passion, and discover the Million Dollar message in each of you! If you are serious about taking your career/business to the next level, getting yourself massive global exposure and achieving the success & income you truly deserve, register NOW! Venue: Marine Plaza Hotel, Churchgate, Mumbai. This New Years, add a bit of spice to your life with the Latino Fest that will be held at the Hotel Marine Plaza, Mumbai. With zones marked out as specific Latin themed regions, guests can pick and choose which zone they’d like to bide their time at. The Bayview, The Oriental Blossom, Geoffrey’s, The Lobby and The Allamanda Terrace will reflect the flavors and feel of the Caribbean, Spain, Peru, Brazil and Cuba to perfection. With vibrant Latin music and delectable food on offer, there isn’t a better place to be this New Years than the Latino Fest, so book your tickets right now on KyaZoonga.com. Venue: Hotel Novotel, Juhu, Mumbai. This New Years Eve, let your hair down and party like you’ve never partied before. Why visit the same old parties at the same old clubs? Take a walk on the slightly wilder side of life with a radically new way of bringing in New Years at the Novotel, Mumbai. Lounge by the sea with your friends as the open skies beckon for you to relax and await the advent of the New Year. Don’t limit yourself to one type of music, for there will be more progressive music forms such as hip hop mingling with Bollywood for your attention. A veritable feast awaits you along with champagne bottles just waiting to be uncorked, so join in the celebrations on New Years Eve at The Novotel, Juhu, Mumbai. Tickets for this once in a lifetime event are available only on KyaZoonga.com! Food and beverages are included as per your pricing plan. Valet parking is available free of charge wholly at the owners risk. A stamp must be taken if steeping out, else re-entry will not be permitted. There are four categories of tickets, namely Table Passes for Eight, Table Passes for Six, Couples Pass and a Stag Pass. Both include unlimited premium alcohol and a dinner buffet inclusive of starters. However, the Table Pass includes a table by the pool as well. 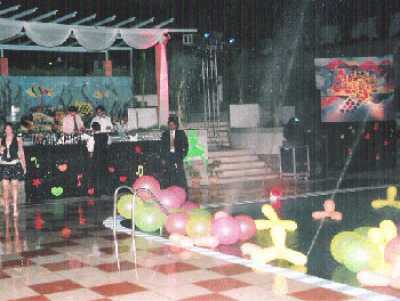 This New Years Eve party will be held at Gadda Da Vida, Poolside and the spacious banquets. Tickets can be picked up at any time from Novotel, Juhu, between 12 PM and 9 PM. Hyderabad’s biggest Open Air New Year Event. 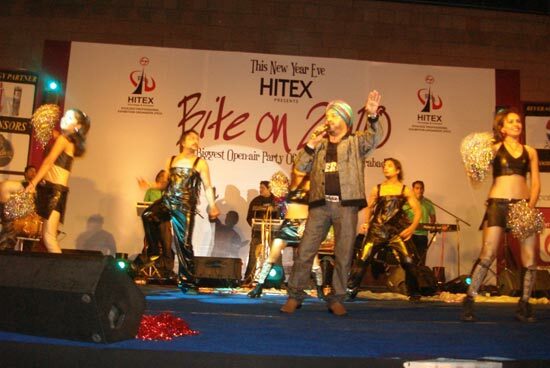 BITE ON 2011 will be the biggest open air new year event in Hyderabad with 4 dance floors, flying sound of 1,00,000 Watts, dazzling DJ, bollywood/techno/house remixes, pulsating lights with celebrative ambience and unlimited food and cocktail which will add an extra dimension to the whole atmosphere and will truly become beyond memorable. The first ever India Music Week brings together several famous musicians on a singular platform. There are over 40 acts for audiophiles to savor with the festival featuring an eclectic mix of indie Indian performers and several European jazz/electronic performers that will light up the show. Some of the performers gracing the event include The Raghu Dixit Project, Menwhopause, KK and Parikrama to name just a few, and German electronica trio Jahcoozi, Norwegian electro-soul producer Mathias Stubø, and Norwegian eclectic pop duo Mari & Stein will also entertain lovers of great music. Make sure you book your tickets for this musical extravaganza that will surely blow your mind! Tickets for the India Music Week are available on KyaZoonga.com. Time: 18:30 to 22:00Titillate your taste buds at the Hyderabad food fest, where great food is not the exception but the norm. The organizers have brought together cuisines from 30 nations, which in all represents 300 varieties of culinary expertise. From delectable appetizers to mind-blowing main courses, this promises to be an extravaganza to remember. This event will be the world’s largest organic food festival and will feature the legendary Gordon Ramsay as one of its chief guests, so don’t get the chance to miss this celebrity chef! This semi-private red carpet affair will ensure the good times keep flowing thanks to an unlimited supply of Johnny Walker and French wine, a fashion show from NIFT and live performances that will leave you enthralled. This Guinness World Records Event will also feature the award winning DJ Jitesh spinning tunes for guests, so don’t forget to mark out the 24th Septemeber on your calendar. The City of royals will immerse its guests in an experience fit for royalty, so don’t miss it! Book your tickets now only on KyaZoonga! A R Rahman Live in Concert! A.R. Rahman Live in Concert – May 29, 2011, Palace Grounds, Bangalore – that’s the mantra for musical nirvana! After all, it’s not every day that you get to witness a musical extravaganza of this magnitude, A.R. Rahman Live in Concert’ will not only have a majestic stage and enthralling performance but will also include a unique feature with AV Screens across palace grounds showcasing the concert in 3D. Yes you heard right 3D. All this can only happen when two giants join hands. A.R. Rahman and the UF Group. A musical genius, nay a magician, who has managed to make the entire country dance to his tunes! His name itself is enough to invoke respect and awe from a cross-section of society, throughout the country. ‘Roja’ brought him into the public eye and after that he has crossed more milestones than we’d care to remember. With’ Jai Ho’, he put India on the international music map and the double Oscars have just proved what we knew all along – that he is an ‘Isai Puyal’ in more ways than one. Some have dubbed him the ‘Mozart of Madras’ and it’s an epithet that is richly deserved. No guesses as to this individual’s identity – A.R. 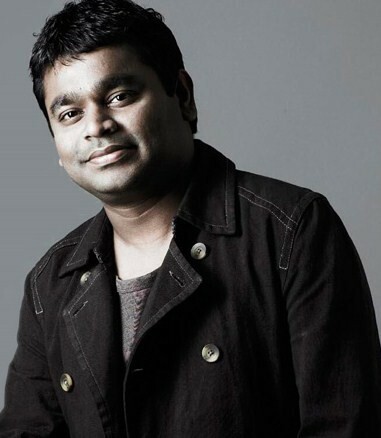 Rahman, singer, composer and musician extraordinaire. The other giant is the UF Group of Companies which has over the years, successfully expanded into a multi-faceted consortium that includes Media and Entertainment, Investment and Industrial Initiative. The UF team is aspiring to create and manage a flourishing enterprise by standing tall with its 7-key strategy which includes Innovation, Quality, Brand, Hygiene, Efficiency, Development and Technology. UF Group’s brainchild is Channel UFX which exploded onto the entertainment scene almost a year ago, and have lived up to all its hype and expectation emerging as a premier lifestyle and music channel, whose only competition is the channel itself. Helmed by a young and charismatic head and a creative wizard, the channel has surpassed everybody’s expectations with its perfectly packaged shows that has got the youth – its target audience – hankering for more. That’s Channel UFX, the last word in entertainment.